THE MOUNTAINEERS OF THE NEILGHERRIES. The period which preceded the insurrectional movements of 1848-49 was one of the most active and fertile in history; from that time there germinated all the ideas which at the end of the nineteenth century assumed a powerful development, and now forms the convictions of all there is of in. intelligence, honesty and freedom of young folks and mature men. The vices of the bourgeois society issued from the French Revolution appeared, from then on, to all clear-seeing spirits. The result obtained certainly did not correspond with the inspirations of the philosophers of the eighteenth century, with the hopes cherished by the people. It was necessary to resume the great work, and continue it while profiting by acquired experience. From all sides, thinkers and men of action undertook a new struggle more formidable than the one which had absorbed the forces of their predecessors. This time the very foundation of the past and present society was attacked, namely property and it was proposed to find a new form of society in which there would be no more disinherited, where none would be exploited, of his share of common resources. Socialism was born. It was not in France only that this time ideas were fermenting; Germany, not then the disciplined, military, Prussianized nation that we have known, the Germany that had for a century produced a throng of geniuses, writers, composers, philosophers, was full of free spirits, generous Utopians, themselves turned revolutionary by force of being, sincerely logical. And the young Russians who had just entered civilization brought to the movement virgin forces not yet enervated by a too prolonged and too exclusive exercise of thought, men of a solid make, and solidly built, with powerful instincts and an indomitable will to act, such as was Bakunin. alt="paragraph"
The revolution of 1848 had triumphed in France. Young folks could entertain illusions, could believe in the imminence of profound social transformations, in the near realization of new ideas. Elisée who had gone to the college of Sainte-Foy from 1842-1848 was, in 1849, with his elder brother Elie and a mutual friend, at the University of Montauban. The comrades lived in the country several miles from the town. Not much concerned with the theological teachings, they scarcely attended the lectures of the professors and passed their time in avidly reading the writings of philosophers and sociologists in Conversation and the enjoyment of Nature. They even permitted themselves an escapade of several days by going to see the Mediterranean. This conduct, which was a bad example. these too free allurements, these subversive discourses they held, caused the authorites to eye them askance and the dean of the faculty, in spite of his natural indulgence, was obliged to expell them. speak in the same assembly as the Parisian. Do you not already see that the national hatreds are being obliterated, and that men are being designated by their opinions rather than their countries? There is nothing more in. the world now but men of the future and those of the past, and every individual of these two immense parties forms a gigantic Confederation which is followed in all countries without distinction of either race or language." "Thus, to sum up, our political aim in every particular nation is the abolition of aristocratic privileges, and in the entire world the fusion of all peoples. "Our destiny is to arrive at that state of ideal perfection when nations will no longer find it necessary to be under the tutelage of the government, or of another nation. It is the absence of government, it is Anarchism, the most elevated expression of order. Those who think that the earth will never pass its period of tutelage, do not believe in progress; it is they who are reactionary. "But political liberty is nothing without other liberties. Can the word liberty have any significance for those whose sweat does not suffice to purchase bread for their families, for those workers who gain new miseries in the revolutions they themselves make? Is not the sovereignity of the people a joke when it is exercised by men covered with rags and dying of hunger? Can the right to go once a year and carry a bit of paper to the hôtel de ville in his district compensate him for the right to live? ". . . In order that socialism arrive at its most perfect development, in order that it should really be the human ideal of society, it must safeguard at one and the same time the rights of the individual and the rights of all. It is necessary that every member of the human society should develop himself freely according to his means and his faculties without being prevented in anything at all by the masses of his b retheren. It is necessary, at the same time, that the well-being by the labour of each. Some varieties reaction against the present society, pretend to believe that man ought to be absorbed in the mass and not be more than as the innumerable arms of the polyp which moves upon its reef or as the drops of water lost within the ocean and raised by the hurricane into the same wave. They delude themselves greatly: Man is not an accident, but a free being, necessary and active, who unites himself, it is true, with his fellow-men, but who never confuses himself with them." Then was the man who was rebuffed as defending immoral and sacreligous theories recognized. His glance expressed the most elevated virtues for which man is honoured: kindness, generosity, integrity, faith in a sublime ideal. Upon the old still vigorous face of this old man, in his clear eyes, was the evocation of all things beautiful and noble ,made more radiant as one read his pure life spent entirely for the truth, that large life of savant and thinker wherein there was no a mean passion or a narrow interest. He spoke well, but without affectation. He spoke as a sincere man who sways the public and achieves the most oratorical effects only by the warmth. of his heart, only by the force of his convictions. He loved humanity passionately, and this love was made manifest in all his words, and caused every receptive spirit to vibrate sympathetically. All those who, morally, were worth anything in Brussels, applauded Reclus. And in a transport of enthusiasm, a New University and an Institute of Higher Studies was formed, a rash undertaking in a country like Belgium where interest in the most elevated speculations of the spirit is so weak. But at that moment one was swept off one's feet; one revolted and there was Reclus who communicated his ardour to all, his- faith in the triumph of just and generous ideas. From him was learned the knowledge of Anarchism, the attentive consideration of it, the respect for it as for a sublime ideal, love for it. And even those who did not embrace the new idea were often constrained to admire it. Among the youth there were many conversions. It was, an admirable moment. Comrades who for some time had been lost sight of were found again, and from the very first exchange of words, they felt that a new bond existed among them, that a common faith united them. And they had the zeal of neophytes, they wanted to fight, they desired to make active propaganda, to suffer imprisonment in defence of their faith. They lived through radiant hours, the young men who then. fraternized, in feeling the doubts which darkened their souls vanish away and their whole being waken to new life. Reclus loved youth for the future promise which it bears within itself. All those in advance of their time, he put his hopes in the rising generation. Thus he encouraged the young men who were brought to participate in the Anarchist movement. If one of them manifested before him the intention of acting freely, of entering into a struggle with society, of spreading libertarian ideas by word or print he immediately said:-"Do it! Set to work! Act!" In his own life, thought was never divorced from action. He did, without evasion, all that seemed to him good and useful. He did not indefinitely weigh the pros and cons before taking a resolution. He took no thought of his ease and did not consider material obstacles. And with that fundamental confidence he had in man, he persuaded himself into the belief that they were capable of realizing, like himself, in their lives, the ideas they manifested. But the majority of young over to Anarchism for sentimental reasons; through heart, juvenile enthusiasm, discontent with the state, through admiration for a man like Reclus, through ecstacy. Very few in number were the Anarchists by temperament, those who had this need of liberty in their blood, and who to catalogue their ideas through an appropriate study phenomena. The others it had been necessary to reimbue constantly with the spirit of anarchism. Reclus had given them encouragement and counsel, but he could then more than let them fly with their own wings. Anarchism is not a doctrine to be taught. It is not a religion which finds a universal response. It is an ensemble of ideas which modifies and perfects itself constantly, a new sentiment of life, something which grows with man, -- with his experience -- and profits by his experience. It is a creation in which it is indespensible to participate ceaselessly. What a grand and elevated conception Reclus had of Anarchism may be seen from the following passage from a letter of 1895: "In the matter of books, I will tell you that it is of importance to study them in order to find arguements in discussion. There you have only the little, very little, side of the question. What does matter is to learn thoroughly, to fortify one's convictions by earnest studies, to create for oneself a quite complete ideal embracing the ensemble of life and of living in consonance with this ideal in the full measure of our forces adapted to surrounding possibilities. Study, learn, and never speak of serious things except with men of perfect sincerity. One must have pride enough not to waste in light conversations the treasure of one's convictions. As for the rest, if you observe those who discuss, without taking part in the debate, you will easily notice that perfect sincerity is rare in this kind of tournament, and that it is the habit of interlocutors to seek to entice their opponents by a secondary question into a petty difficulty of detail. They can thus, procure for themselves an apparent triumph which signifies nothing, but the result of which is absolutely contrary to truth. Thus you will do well to distrust those oratorical jousts. What is necessary is to confirm one's convictions and to live according to one's faith: In that manner you will make the best of all propagandas. necessary to work so much the more conscientiously, patiently, devotedly. In the haste of an immediate revolution one exposes oneself to despair as a reaction when one ascertains the empire of absurd prejudices and, the action of evil passions. But the conscious anarchist never despairs: He sees the development of the laws of history, and the gradual changes of society. And if he cannot act upon the' ensemble of the world, except in an infinitesimal manner, at least he can act upon himself, labour to personally disengage himself from all preconceived or imposed ideas, and little by little, group about himself friends living and acting in the same manner. It is gradually, through little friendly and intelligent societies, that the great fraternal society will he constituted." These are admirable counsels, but it is not given to all to follow them, and into so precious a casket it is necessary to have something to deposit. That which was most striking about Reclus when seen for the first time, was his attitude, very simple but permeated with the most elevated dignity and great reserve, an attitude which was the expression of an irreproachable life, of a great self-control, and of the will to act upon others; it was, on the other hand, an extreme politeness which with him wasnot a simple form of education but a result of the difference with which he regarded Man in general, his respect for human personality. He had no desire to make his superiority felt. He treated everyone as his equal. He was modest enough to act as though his time were not precious. One could come and find him at any hour, and he interrupted himself in the midst of his work to discuss with people whose conversation must frequently have been without any interest to him. All this was in harmony with his ideas butin practice this conduct had more than one inconvenience: A great number of young men came -to visit him with inconcieveable nonchalance and on the pretext that he was an anarchist like themselves, and a "comrade" like all others, without any regard, and gave proof of a vulgarity and indecency which saddened him. That is why, in his last years, he did not feel a greater sympathy with those so-called anarchists whose entire anarchism consists in licentiousness of spirit, grossness of manner, and an idiotic equalitarianism which is very convenient to their petty vanity which prevents them from recognizing any superiority in another. It was necessary to know him intimately in order to feel all there was in him of profound humanity and to appreciate his qualitesof sentiment-his goodness his naive confidence, his enthusiasm, his love of Nature, his joy in learning which made him love life to the last, and interest himself in the events which agitated the world as in the emotions which made the hearts of his friends beat. 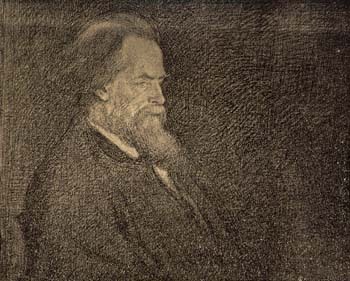 Although his health was greatly impaired during his last years, and he had cardiac crises which made him suffer terribly, although he was innundated with work, -- editing of articles and books, courses in the "Université Nouvelle", directing the geographical institute he had founded, he did not lose his courage, and not only kept his faith in life, but still enjoyed it fully. As he says in a letter written in the beginning of 1904, when he imagined with his eternal optimism that his brother Elie had triumphed over the disease which proved fatal to him: "Every day is a struggle, but what does it matter if this struggle ends in a victory, if every day the organism succeeds in adapting itself to its surrounding, even profiting by it? Life is good since one learns, since one renews oneself and above all since one loves. I am happy to rest my thoughts from time to time on those whom I love. It is even immaterial that I think of them in a conscious manner. They are, they brighten me, they make me rejoice, they illumine my being like a beacon which brightens all the horizon. There is not even new politics, the new fact in geography, in history, in general science that should not assume a high interest for me because friends are there, and my joy will be theirs. Affection is an eternal sharing." The latest events which agitated Russia  moved him profoundly. He felt an enormous enthusiasm at the idea of "this great drama of Russia which advances on its knees toward its emperor, than raises itself, makes its councellors leap, and prepares to leap itself, this alliance of all classes and all peoples in the same effort, this marvellous simplicity in the individual abandon of existence, this solidarity in devotion, and then, yonder, as far as the fogs and snows of Manchuria, those two armies who slay each other and only ask to be reconciled." What warmth in these lines, what youth! Who would say, upon reading them, that it is an old man, one menaced by death, who has written them? Elsewhere it is his love of Nature which manifests itself. On his return from a voyage in the Jura that he had already made in the summer of 1903 he writes:-"Despite frequent rains and storms, I have been able to write briskly and warm up my blood otherwise than by laughter, by good communion with the sky, the clouds, the firs, the turf." And a year later:- "I always powerfully and intimately appreciate the kindly warmth of the sun, the rustling of the leaves, the whistling of the wind, the noble sonorousness of a beautiful verse, and above all, the caressing penetration of a friendly word." Love of Nature, love of life, love of man, all this was for him the self- same thing, and it is through the love of man that it manifests itself most often, a love not theoretical, but active, real, apparent to all. "I have never felt the 'contempt for man', I have never known it, even when excess of young vitality had filled me with presumption. The intoxication caused by the thousand readings and mixed impressions had often made me reason falsely, it has even apparently demoralized me, but only apparently. The different oscillations always brought me back to the center of gravity which was the 'violent love' of man. As for my first pages of the "Story of a Mountain", I ask myself if at bottom they have not committed a fault, the lack of sincerity. As much as I remember of it, I was then in prison and all the more I felt about me the thick walls of hatred, of the aversion of the whole world against the Commune and the communists. It may he that I stiffened myself and that this movement struggled against my whole nature." entertained against man. Men must have innundated him with suffering in order that he should arrive at that point, and it sufficed them to give him such a little thing in order to make him grateful to them:- "I ask from the makers of books that they give me a page, or else a line, or else a useful word, and if they will give me this word, it is I who owe them gratitude despite the quagmire into which I risked losing myself from the very first " He asked only to learn, to know the world, to know himself. Vis-à-vis with himself he was sincere as he was sincere vis-à-vis with others, and until the end he was haunted by the desire to perfect himself. "I have had, I still have my faults and my weaknesses, but I also have my sincere friendships, my high desires, my ideal inwardness. I am always working at carving out the effigy of the hero I dream of and who is my best self." Admirable words on the part of a man who was already so superior to the immense majority of men, words which best sum up the aspiration of all true anarchists towards an ideal of moral perfection, of which the society they dream about should be the living realization. Reclus, this good, sincere, honest man who is to us a representative of that better humanity which we dream of, was it seems to us, to inspire every one with respect. However, and be this said to the shame of our present humanity, there were found at all times creatures mean enough to abuse his confidence, to deceive him, to exploit him by telling him fantastic tales, which his soul, alien to lying and dissimulation, did not distrust. He did not become irritated if he discovered the fraud. At the most, he felt a little sadness and he promised himself to be more on his guard, and on the first occasion he allowed himself to be taken in once more, fearing he would fail to aid one who really had need of his help. In 1895 he conceived the project of a terrestrial globe au cent millième. This globe was on the point of becoming the center of the exhibition of Paris of 1900 and the enterprise only miscarried because of the ill-will of the capitalists who did not see in the affair any source of sufficient profit. At the same time he did not cease working at the task that had to form the conclusion of his life-long labours, the crowning-point of all his works. At the end of 1903 the work was finished. In the early part of 1904 he writes:----I have finished my book, but now that it is done, I find it necessary to re-commence, that is to say, to correct it, complete it, handle it, foresee the criticism of friends and conform to their advice. That is the work I am doing at this moment without the hope of having in all this medley of 4,500 pages a single paragraph, in a style as firm, dear, nicely objective, as that from which you have sent me an extract. [A passage from Machiavel] But perhaps you will feel when you read my work a little more of human tenderness, and that is nevertheless not to be disdained." Then there began for Reclus the tediums which the publication of an eminent book most often occasions. It would seem that the editors ought to have disputed for the honour of publishing the work of a man as universally renowned. Nothing of the kind. Hachette, who had gained consider. able sums by the sale of the Géographie Universelle did not want to print L'Homme et la Terre which is its conclusion, on pretext that this conclusion was anarchistic! The preparation of the publication was rather a source of weariness than pleasure to Reclus. The purely industrial and cornmercial character that invest the present, shocked him. He wrote in March of the same year-"As for my work, it does not afford me the least pleasure. In order to interest me it would have been necessary that I feel myself living with the manager, the compositor, the proofreader, that each day should bring its little conflict, its little discussion, but the work, so to say, goes on industriously of itself, and I mean nothing to it." It would be necessary to speak at great length of such a man, and often to re-evoke his memory. Happily there are his books which will tell of him better than I am able to do. There he is to be found again, if not as he was to his intimates, with his unrestraint and fineness of sentiment, at least in the essential, traits of his character. For he was not one of these sages (of whom modern Germany has offered us the most complete type) who have no other ideal except objectivity, and who are scarcely more than machines for cutting up and distributing facts in pigeon-holes according to invariable methods. Every page written by Reclus overflows with his human sympathy, and everywhere his powerful ideas can be felt, his ideal shines through. He has consecrated but a very limited number of his writings to the direct exposition of anarchism. Thus he is less known by the majority of anarchists than others who have published books of propaganda particularly. Most assuredly a wrong from anarchism is truly less an ensemble of social ideas than a general attitude of spirit, a special manner of envisaging all human phenomena, a conception of life which reacts on our will as on our representations. Considered thus it must necessarily be applied to all branches of knowledge. The influence of Elisée Reclus will for a long time still continue to be exerted in a twofold manner: through his work which will make serious spirits reflect and will convince of the excellence of his ideas, sincere and free from prejudice; through the example of his life which will demonstrate to what degree of moral evolution- unknown to all defenders of Religion and "Order"--a man can arrive at who recognizes neither gods nor laws nor masters. Now, more than ever ought we to be inspired with that life, for more than ever do we feel the need of powerful moral influences, not only in the ensemble of social life, but also and particularly in the revolutionary centres. A revolution which would limit itself to making Society pass into the hands of other masters, and which would not he marked for human groupments by a progress of culture, a revolution without a great spiritual current, a revolution consecrating the abolition of the intellectual and moral level which certain sectarians favour on pretext of tactics, will no longer signify for humanity renouvellement mais déchéance For us who have for a long time adopted these ideas - the origin of which, however, goes back to the Renaissance-it is his life above all which ought to inspire us. As be, we ought to force ourselves not to separate theory from practice, to be ourselves the living testimony of our ideas, to work ceaselessly for inner perfection. It is thus that we will honour his memory most worthily. 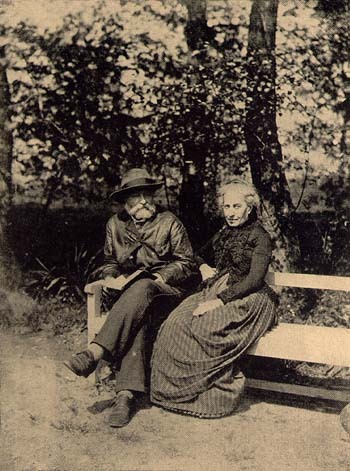 Elisée Reclus lives among and in us, his ideas continue to function, and are one of the thousand forces active in transforming the old world.